Milly and the Macy’s Parade is a delightful story about Milly’s idea to bring happiness to European immigrant families with a holiday parade. In 1924, Milly’s papa worked at the lovely Macy’s Department store in New York City. She loved finding treasures and played with toys at Macy’s. However, she noticed that some individuals appeared sad when they looked into the beautiful window displays. Papa and his coworkers missed the holidays from back home with instruments and caroling. 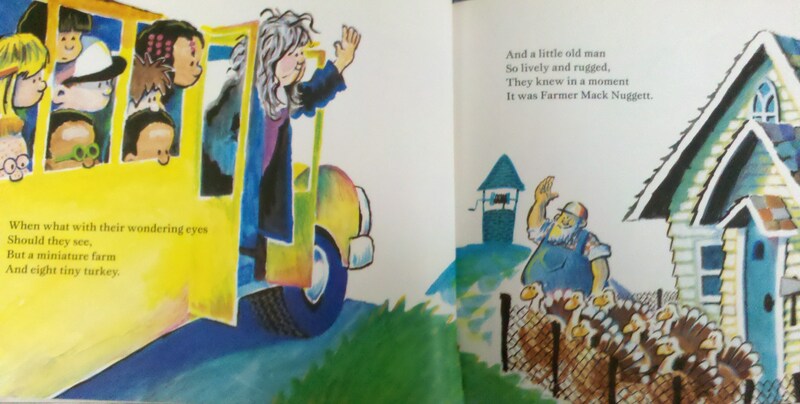 Milly bravely told Mr.Macy himself that people were homesick and wanted a bit of everyone’s home to America. She proposed singing and strolling in the streets with a parade. Macy’s workers dressed and marched proudly in the parade on Thanksgiving day. Finally, people had a bit of their old country into an American celebration. The illustrations are beautiful and really capture a festive mood. Milly and the Macy’s Parade is somewhat true. Mr. Macy died in 1877, which is long before the parade started in 1924. The parade idea wasn’t from a young girl, in fact it’s unclear where the idea originated from. 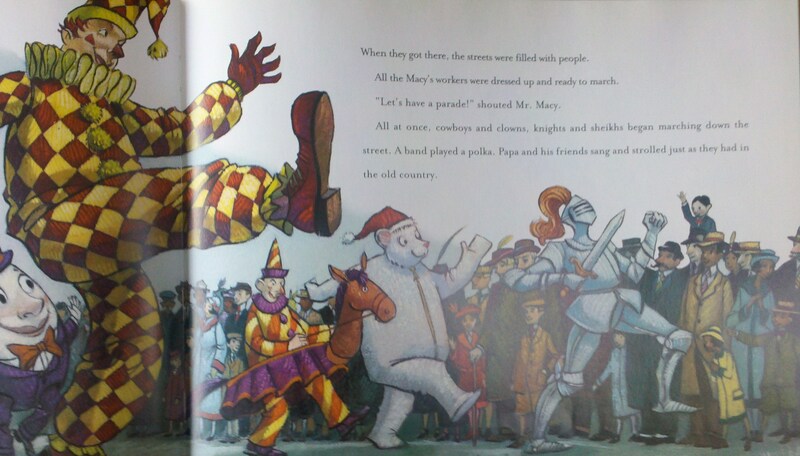 The true story element is that the Macy employees themselves dressed and performed in the parade. – More than 1,000 Macy employees marched in the first parade with many cultures and costumes. 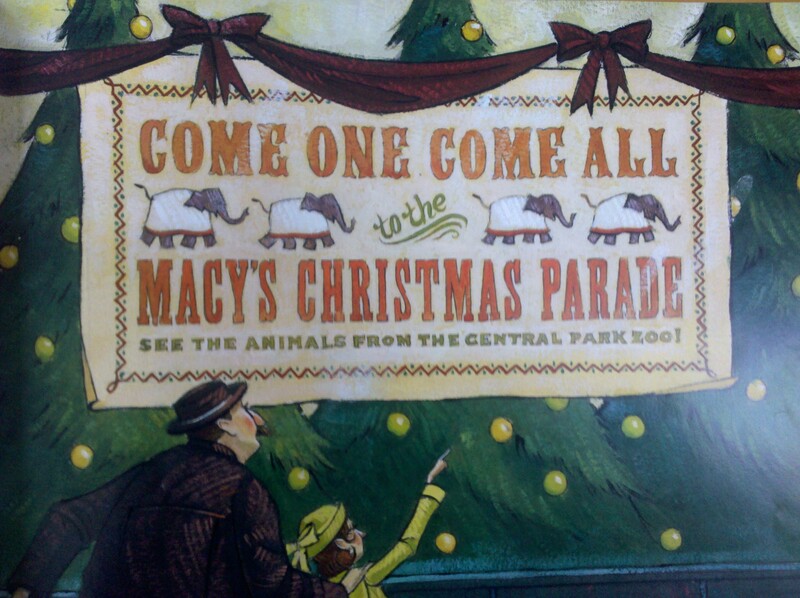 – It’s always been held on Thanksgiving Day, but the first year it was called Macy’s Christmas Parade. – Animals from Central Park Zoo including elephants, camels, and bears marched in the parade, but this stopped in 1927 when animals frightened children. – In 1927, the first Helium balloons replaced zoo animals. The balloons were produced by Goodyear Tire & Rubber Company. The balloons suddenly burst at the parade’s finish. – In 1928, the balloons were redesigned with safety valves, so they could float for several days. Address labels were inside the balloon and lucky individuals could mail it back to Macy’s for a prize. 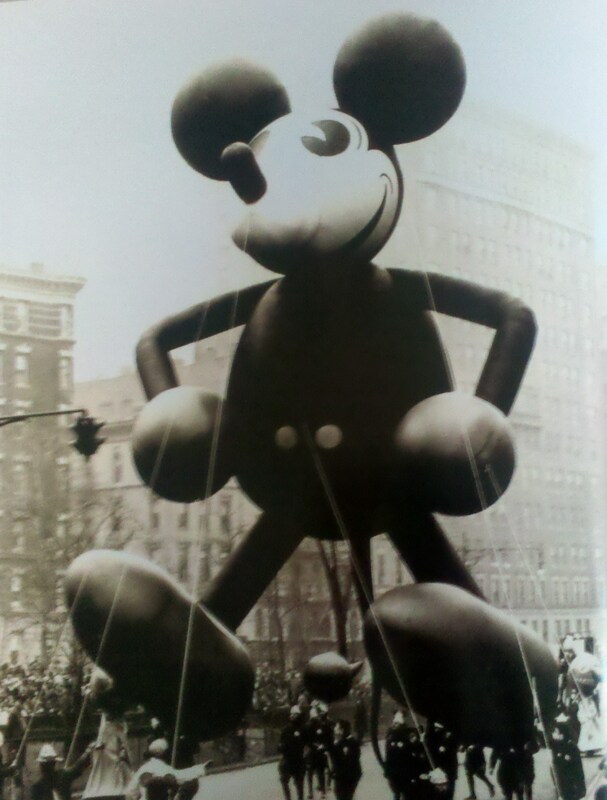 – In 1934, Macy’s balloon designers work with Walt Disney for the first Mickey Mouse balloon. – In 1942- 1944, the parade was canceled due to World War II. The rubber balloons were donated as scrap rubber for the war effort. – In 1947, the Macy’s Thanksgiving Parade is on national television. – The parade started at 145th Street and ended in front of Macy’s department store on 34th Street where Santa Claus welcomed the holiday. – In 1947, the parade now started at 77th Street and Central Park. – The parade charater with the most balloons is Snoopy. – Every year about 3 million people watch the parade in person and 50 million people watch the Macy’s Thanksgiving Parade on television. – In 2011, Macy’s Thanksgiving Parade marks its 85th anniversary. This entry was posted in Ages 8-10, Book Review, Children's Book, Holidays, Picture Book and tagged Book Review, Brett Helquist, children's book, Macy's Department Store, Macy's Thanksgiving Parade, Milly and the Macy's Parade, New York City, parade, picture book, postaday2011, Robert M. Grippo, Shana Corey, Thanksgiving. 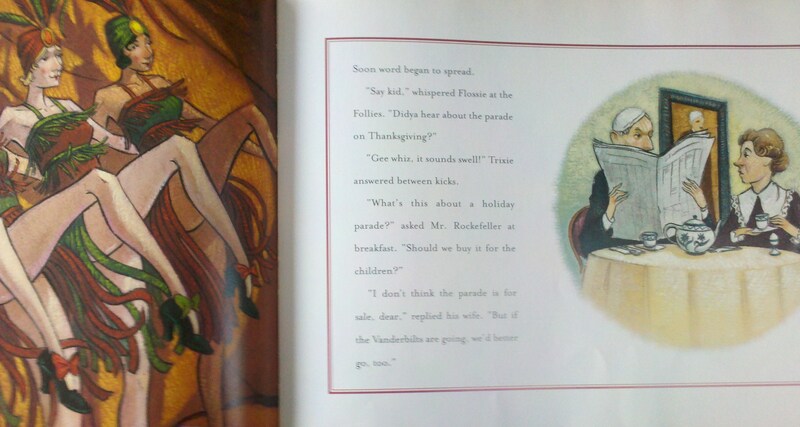 This was a delightful Thanksgiving book that followed the story and rhythm of ‘Twas the Night Before Christmas. Students are on a field trip and they stumble upon a farm with turkeys. The children and turkeys are excited to meet each other and gobble and giggle together. However, a problem arrives when they notice the farmer has an ax and he states that the turkeys will soon be a Thanksgiving feast. The children secretly leave the farm a tad rounder and save the turkeys from a terrible fate. 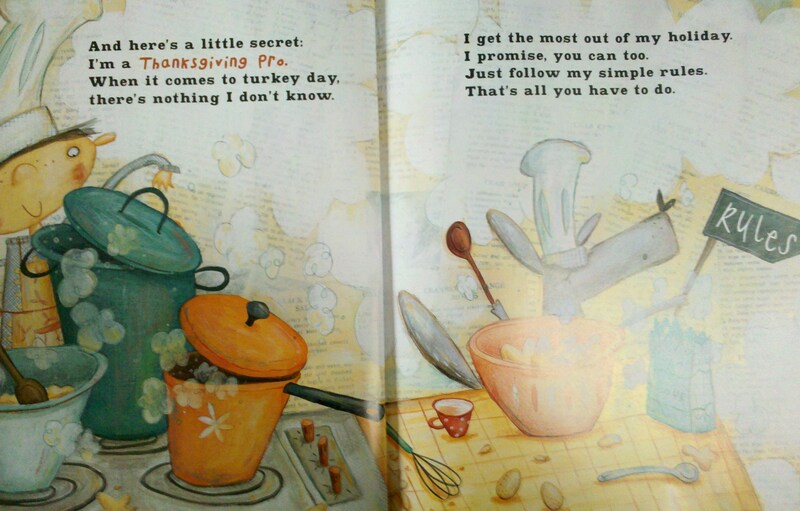 ‘Twas the Night Before Thanksgiving was a fun book that I’m sure most will laugh. 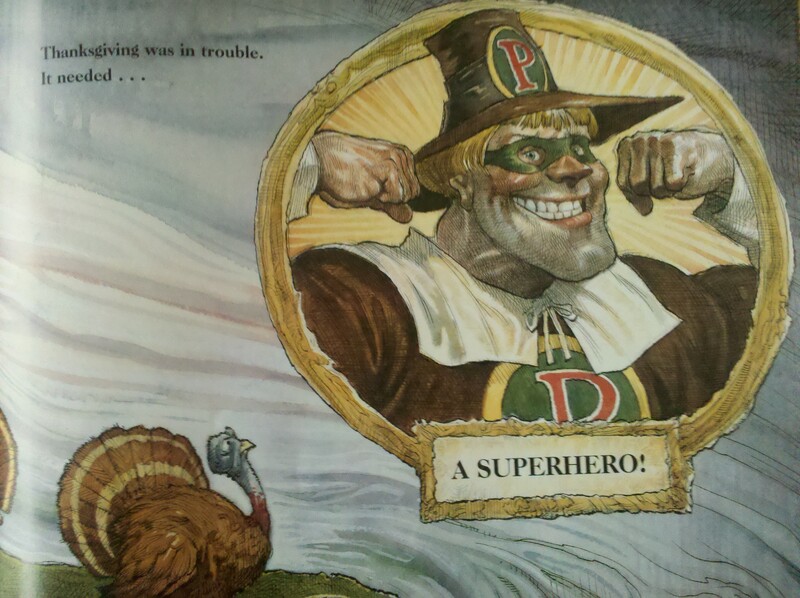 This entry was posted in Ages 4-6, Book Review, Children's Book, Holidays, Picture Book and tagged 'Twas the Night Before Thanksgiving, Book Review, children's book, Dav Pilkey, picture book, postaday2011, Thanksgiving. Did you know that celebrating Thanksgiving almost didn’t happen? 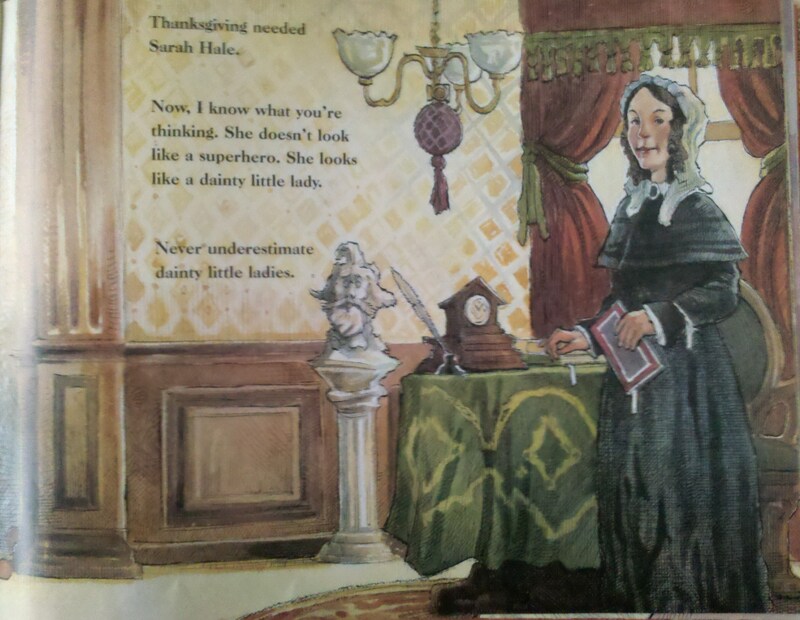 This book is about Sarah Hale who was a very determined woman who promoted Thanksgiving as a national holiday. She wrote numerous letters to three presidents before President Lincoln finally declared Thanksgiving a national holiday in 1863. The book highlights the Civil War, slavery, and the lifestyle during the nineteenth century. I suggest this book for older ages who understand historic events, but many benefit from the information. 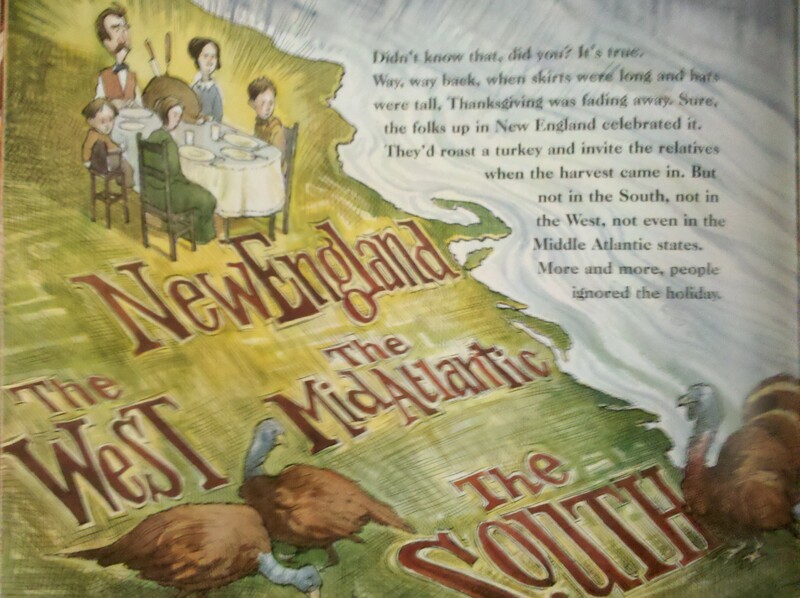 The back of the book includes additional information about the time period, Sarah Hale, and Thanksgiving traditions. Sarah was editor for The Ladies’ Magazine, wrote the poem “Mary Had a Little Lamb” and additional children’s stories, raised five children, made hats for profit when her husband died, and never hesitated to write about issues that concerned her. As editor, a few famous authors she published were Charles Dickens, Edgar Allan Poe, Frances Hodgson Burnett, Nathaniel Hawthorne, and Harriet Beecher Stowe. She never considered herself a woman’s rights advocate, but she did believe in education for women and safe working conditions. She was against slavery. – In 1939, the National Retail Dry Goods Association wanted Thanksgiving to be moved to the third Thursday to lengthen holiday shopping. It was a disaster, since some individuals celebrated both days. In 1941, President Franklin Roosevelt declared Thanksgiving to always be on the fourth Thursday. -Sarah Hale chose the date based upon President George Washington who declared the last Thursday in November to be a “Day of Thanksgiving and prayer”. – The first football game played on Thanksgiving occurred in the 1870s. This entry was posted in Ages 8-10, Book Review, Children's Book, Holidays, Picture Book and tagged 1800s, Book Review, children's book, Civil War, Laurie Halse Anderson, Matt Faulkner, nonfiction, picture book, postaday2011, Sarah Hale, Thank You Sarah: The Woman Who Saved Thanksgiving, Thanksgiving. Percy Isaac Gifford has some rules for a successful Thanksgiving to get the most from the day. A few rules are to wear whatever mom tells you, volunteer to help dad, keep the greetings short, and eat everything on your plate. Percy explains that the day is also about showing loved ones that you care and gives each a snug hug. Normally, you shouldn’t tell children to eat and eat but it’s only one day. The book is written in a fun rhyme. 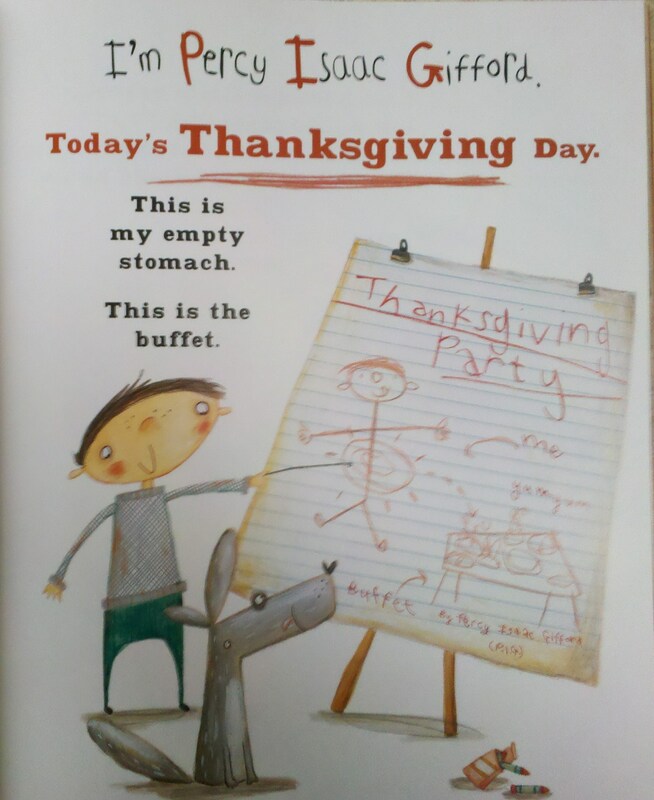 This entry was posted in Ages 4-6, Book Review, Children's Book, Holidays, Picture Book and tagged Book Review, children's book, Laurie Friedman, picture book, postaday2011, Teresa Murfin, Thanksgiving, Thanksgiving Rules. Turk’s parents are so proud of him. His mother believes he’s a dancer and his father believes he’ll make a football player. Nobody listens to his brother Runt who continues to state that Turk looks juicy and ready to be roasted. A ballet instructor and football coach visit the farm and desire the best turkey. Well, Turk dances and tackles to impress them. 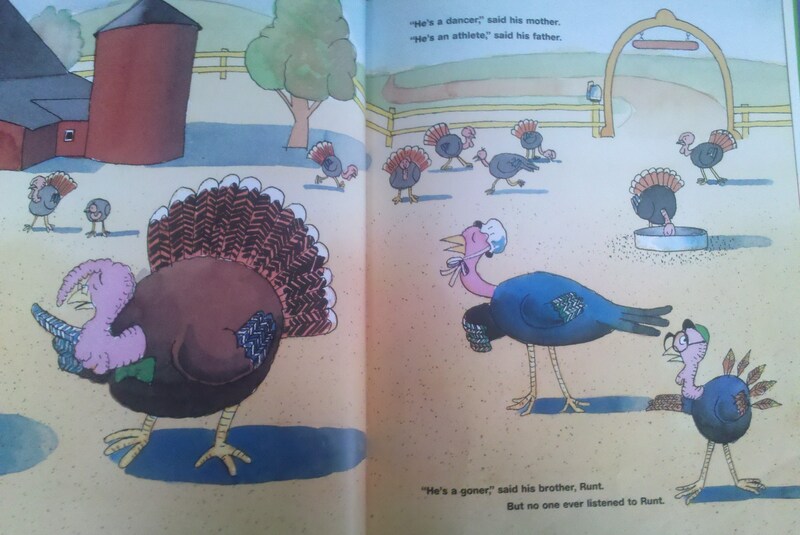 Runt puts on a disastrous display and nobody picks a turkey, because they think they’re crazy. 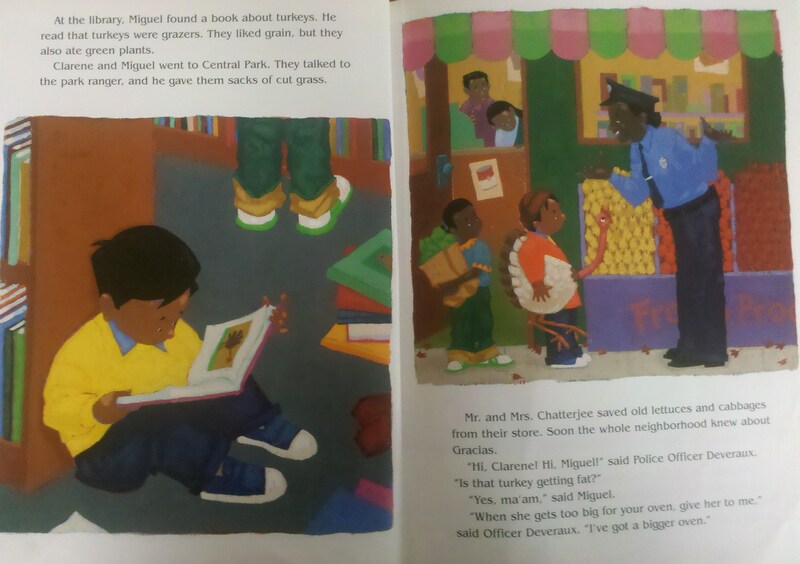 Finally, his family believes Runt and they prepare themselves when others visit the farm searching for a turkey. 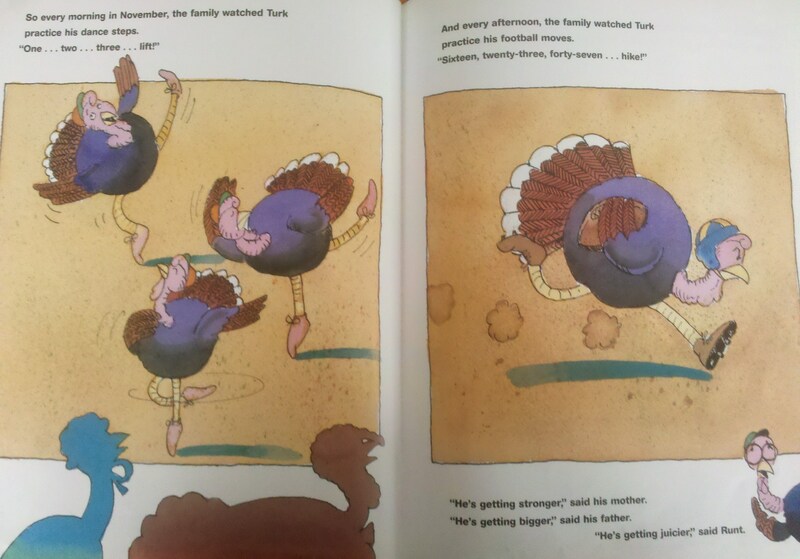 This entry was posted in Ages 4-6, Book Review, Children's Book, Holidays, Picture Book and tagged Book Review, children's book, Frank Ansley, humorous, Liza Wheeler, picture book, postaday2011, Thanksgiving, Turk and Runt A Thanksgiving Comedy. Miguel desires two things for Thanksgiving: that his papa safety arrives home and his new friend is not eaten. 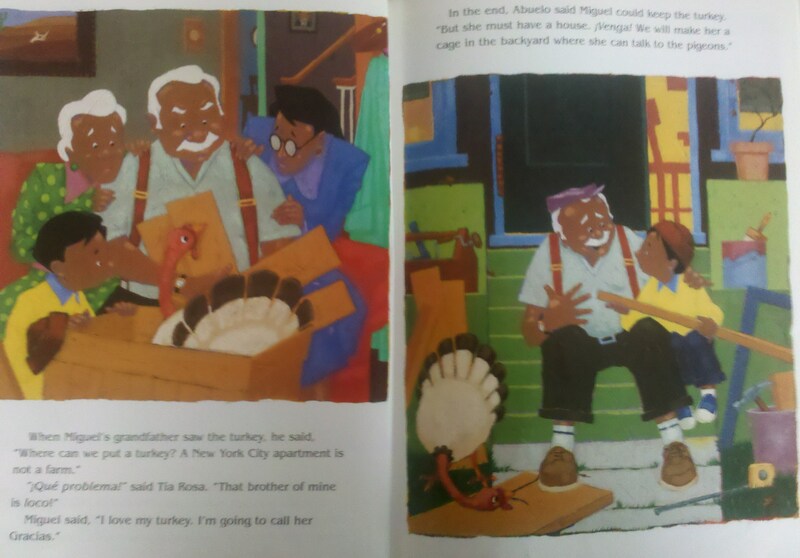 Miguel’s papa is a truck driver and he sends a turkey with a message to fatten her up. Well, Miguel becomes attached to the turkey and names her Gracias and they soon become amigos. He takes Gracias for walks, builds a cage, and doesn’t understand why people keep joking about putting her into an oven. Of course, the family can’t eat a new friend for Thanksgiving and enjoy chicken instead. Miguel has a special place for Gracias after Thanksgiving. If you didn’t already notice, but this book contains Spanish words that are explained in the back. I thought this was a warm and friendly book with a new perspective on a Thanksgiving turkey. 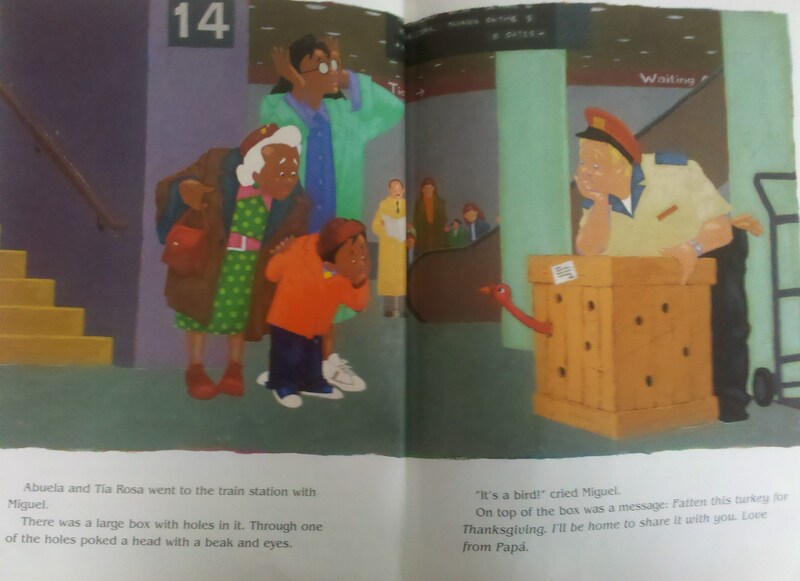 This entry was posted in Ages 4-6, Ages 6-8, Book Review, Children's Book, Holidays, Picture Book and tagged Book Review, children's book, Gracias The Thanksgiving Turkey, Joe Cepeda, Joy Cowley, picture book, postaday2011, Spanish, Thanksgiving. Thanksgiving is approaching and Squawk Valley has a terrible problem, there’s no turkey. Everyone agrees that what they need is a plump and perky turkey, but all the turkeys near town have gotten smarter and leave when autumn arrives. So, Ebenezer Beezer has a plan that the turkey will find them instead at a turkey art show. They post papers in the forest that the town desires a plump and perky turkey to model for the show. Pete, the turkey, applies and models as townspeople create turkeys from clay, oatmeal, soap, and more. Pete picked the the winner, but then disappeared. All the turkey art made a camouflage to leave. He ate the oatmeal as his modeling fee. The townspeople in Squawk Valley learn a lesson and enjoy Thanksgiving with no turkey. I thought this was a delightful and funny book that is written in rhyme. You’ll be cheering for the turkey that got away. 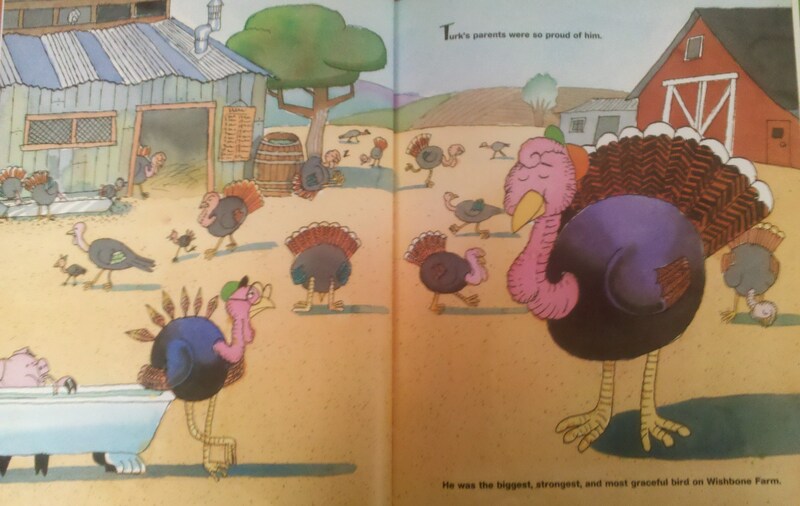 This entry was posted in Ages 6-8, Book Review, Children's Book, Holidays, Picture Book and tagged A Plump and Perky Turkey, Book Review, children's book, humorous, Jeff Shelly, picture book, postaday2011, Teresa Bateman, Thanksgiving.